Howard Cosell, broke into the live television broadcast of Monday Night Football on December 8, 1980 with this announcement, "An unspeakable tragedy confirmed to us by ABC News in New York City. John Lennon, outside of his apartment building on the west side on NYC, the most famous, perhaps, of all the Beatles, shot twice in the back, rushed to Roosevelt Hospital, dead on arrival." Many radio stations set aside their usual play lists, and played the music of Lennon and the Beatles. 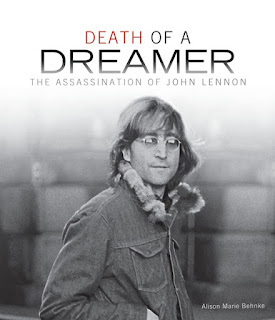 The book "Death of a Dreamer" gives us a look at John's early life, a brief history of the Beatles, and his marriage to Yoko Ono. The second half of the book delves into the life of his assassin, Mark David Chapman, and what made him target the famous Beatle for death. There were several facts that I did not know about John, like he was born during a German air raid on Liverpool! He was also raised by a loving aunt and uncle, was never a model student, and his real mother was killed by a car when John was only 17. The group "The Beatles" grew out of a 1950's musical trend in Great Britain called "skiffle" which consisted of a guitar, and an assortment of cheap, often homemade instruments. The Beatles were not the only young skifflers who went on to stardom. Other skifflers included Van Morrison, Mick Jagger (the Rolling Stones), Jimmy Page (Led Zeppelin), Roger Daltry (the Who), and David Gilmour of Pink Floyd. I did not realize that John Lennon was nearly deported from the United States in 1972, and spent nearly 5 years at home raising his son with Yoko Ono, Sean. Near the end of 1971, John and Yoko released Happy Xmas (War is Over) and rented billboards in eleven cities around the world that read "War is over! If you want it" Happy Christmas from John and Yoko. On the evening of December 8, 1980, John and Yoko were back at work in the studio, shortly after the album Double Fantasy was released. Earlier in the day, John had autographed the new album for Mark David Chapman as he stood outside the Dakota, John's apartment building. The moment was photographed by Paul Goresh, who often waited outside the Dakota, hoping to get a picture of Lennon to sell to a newspaper or magazine. Without realizing it, John Lennon had met his assassin. At 10:50 pm, Chapman was till standing outside the Dakota when John and Yoko pulled up in a limousine. Yoko walked by first, then John. Chapman shot Lennon in the back five times, and made no attempt to flee the crime scene. Chapman was obsessed with the character Holden Caulfied from "The Catcher in the Rye" and felt John had become a "phony" and that he could rid the world of him. The last portion of the book contains facts about memorials to John, and a timeline of his life. It does not try to "sugarcoat" some of the negative aspects of John's life, like his drug use, or the way he treated his first wife and son. 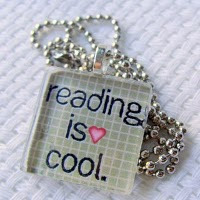 Instead, it makes the saga very readable, and may bring you to want to find out more about John Lennon, and his music. Ironically, John and Yoko were photographed by Annie Leibovitz the day he died, and the photos appeared on the cover of Rolling Stone on January 22, 1981. If you like the music of the Beatles, the Greece Public library owns 15 CD's that you can check out, as well as some DVD's. My last two facts: there were 27 Beatle's songs that reached number 1 on the Billboard Music charts, and they were not all included on the Beatles album "One". The most covered Beatle's song was Yesterday, written and performed by Paul McCartney.